Do you aspire to be a world-famous musician? Are you looking for assistance to take your career to the top of the industry? If yes, then you need a well-renowned, effective, and innovative music distribution company. 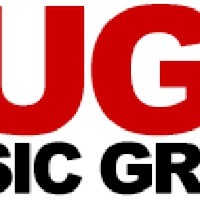 Sugo Music Group was established with the sole purpose of availing high-quality distribution, sales, and manufacturing every type of music media. Being one of the top independent music distribution companies in the industry, we avail excellent services with uncompromising quality. With an experience of over 30 years in the industry, we have manufactured, sold, and distributed the music of numerous world-famous artists. We offer our expert services of every different type of music media, be it digital, vinyl, CDs, or cassettes. Whatever your music requires you to do, in whichever media you want to be launched in, we avail them all. Our music distribution channels run far and wide and navigate every imaginable platform. Whether you want to exploit the wonders of the internet, mobile, satellite, cable, wholesalers, music stores, gift shops, retailers, or more, our connection will get you the contact you need. We are one of the largest independent music distribution companies in the USA and avail music portfolios to more than 250 countries and territories and over 1200 websites. You can easily and effortless choose your music distribution package or even get it customized according to your needs and requirements. We understand the importance of running with the modern world and technologies and that is why are intimately acquainted with every trending entertainment platform and more. Our superior expertise and pioneering asset management protocols lets us successfully supply and distribute music to hundreds of outlets across the globe. We do not charge any extra price for setting up your account or your music submissions. We will monetize and safeguard your music and make sure that it gets the exposure it deserves. To know more about us and our services, visit https://www.sugomusic.com/ today!